Profit and Business Ethics – Are the Two Mutually Exclusive? To the average person who doesn’t own a business, for-profit firms are often thought of as unethical and ruthless entities, precisely because it’s assumed that unethical behavior and ruthlessness are necessary in order to maximize one’s bottomline. Of course, business owners are rarely cartoonish villains like Mr. Burns, willing to do anything to squeeze out some extra dollars. Business owners are just normal people who, by and large, care about things such as the welfare of their employees, and about living as a decent human being. But business owners also need to turn a profit. Is running an ethical business at odds with your bottomline? The Roman philosopher Cicero argued that unscrupulous and unethical behavior leads to a poor reputation, which in turn makes it more difficult to run a profitable business. Ethical business owners, on Cicero’s view, gain a reputation for being fair and trustworthy, which in turn leads to greater profits. For Cicero, then, ethical behavior is critical to having a successful business over the long term. A Bernie Madoff may be able to get by successfully over a short period, but ultimately, according to Cicero, such unethical behavior is ruinous. 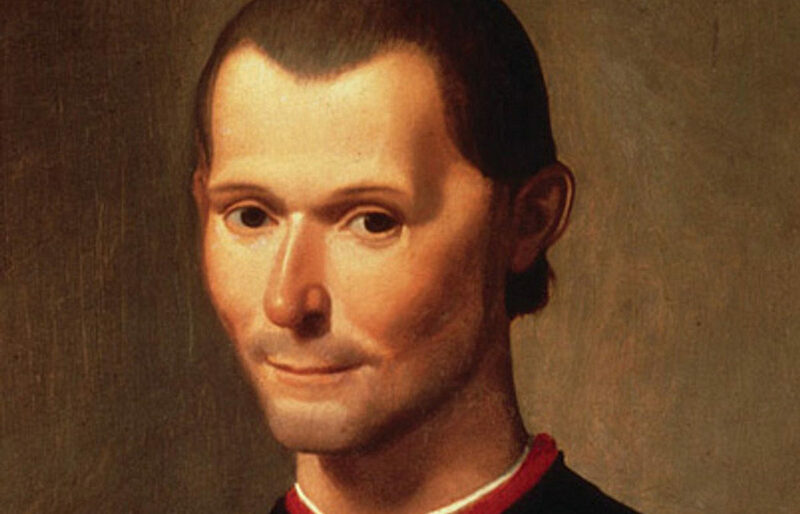 1500 years later, another Italian philosopher, Machiavelli, took issue with Cicero’s claim. For Machiavelli, Cicero merely demonstrated the utility of the appearance of virtue, and not that of actual virtuous behavior. According to Machiavelli, a clever person could carefully maintain a reputation for being honest and trustworthy, all while indulging secretly in ruthless and unethical behavior. In this way, Machiavelli thought, one could reap all possible rewards. Machiavelli’s argument may seem extremely powerful. But even if we assume that he’s correct in the abstract, the capacity to pull off such an achievement, and to become Machiavelli’s ideal “prince” of business, is a tall order indeed. Machiavelli himself manages only a precious few examples from history, and even those are partial success stories at best; Cesare Borgia, thought by some to be the example of the ideal prince in Machiavelli, was murdered for his behavior. It’s one thing to say Machiavelli was right, quite another to actually put those ideas successfully into practice. Far easier, one might think, to simply be a decent person, as Cicero suggested. Finally, if the question is “why be ethical in business,” one might say that the answer is self-evident: because it’s the right thing to do. In a sense, the question “why do what’s right” is incoherent, or at least, self-answering. Business debt settlement: get the facts on this growing scam. Direct business lending vs. broker services: which one is right for your small business? When is the best time to take out a cash advance? Copyright © 2017 Coconut Funding, LLC | All rights reserved.